There is a discussion on the role of Ravan and Duryodhana and their role in the giant epic of Ramayana and Mahabharata. I have also adopted the pen name as 'The Ravan' and naturally people assume I am part of the group that believes Ravan was wrongly defeated. A common argument on Ravan goes, 'Ravan was the best king of the region and Ram attacked him over his wife,' or another one, 'Duryodhana was denied what he deserved, he was tricked into defeat by Krishna'. If you are one of the people described thus, this is a post for you. Well there is no nice way of saying this but, 'What have you been smoking?' while it is completely understandable for younger generation to question their roots, the best option to clear any doubts you have is to read. There are countless books written on this topic and only when you read a couple of them you come to the true meaning of the books. 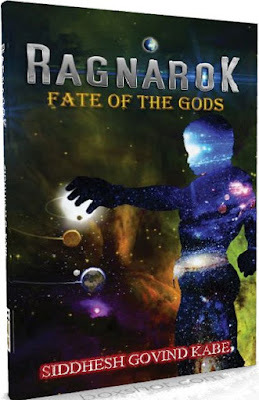 The thing about Hinduism is that it has got many layers and once you start peeling the layers, underneath you find an idea, a concept, a metaphysical ideology that blows your mind. Lets start from one, lets talk about Ravan. The justification that Ravan was good and just king is that he protected the people of Lanka from many Persian invaders. That the Lanka he had was richest of the land and the subjects were content and happy. These all facts are true, Ravan was indeed a just and noble king. He also had the impeccable reputation of being the most feared king in south-east Asia. Lanka did prosper under Ravan's rule but that made him even more arrogant. His constant conquest made him arrogant of him being supreme. Lanka was rich in weatlh even before Ravan took it from Kubera, the God of wealth. But during Ravan's rule, corruption increased, misery and arrogance increased and so did egos. There was no law left in the land and hence him being just king and all, he was a good leader and a amazing warrior but he was a poor administrator. Ram attacked him for kidnapping Sita. If Ram had to attack Lanka to rescue Sita, he would have snuck into Lanka picked up his wife and leave the place. Don't forget without Hanuman, Ram and Lakshman were much powerful than Ravan himself. But Ram chose to act like a true king and by not sneaking into Lanka chose to attack the ideology of Ravan. The rest of Ramayana was just a battle of ideology. Ram being the prince of Ayodhya commanded an army from monkey kingdom Kishkindha Kāṇḍ against the mighty army of Lanka. This showed that Ram chose a political battle rather than personal one in this. This bit is not popular among the feminist, who talk about Sita and her troubles. But in that moment Ram automatically won the battle, not because he was God but because he was acting between the law (Dharma). So Ravan was not justified in his action, neither was he defeated in trickery. He was a just king who led a kingdom to war for his personal conquest, which was again not justified. At the end of Ramayana, Ram asks Vibhishana to establish the law of people instead of law of nature (matsyanyaya) in the kingdom of Lanka. Thus during the course of Ramayana, Ram establishes law of people in two kingdoms. 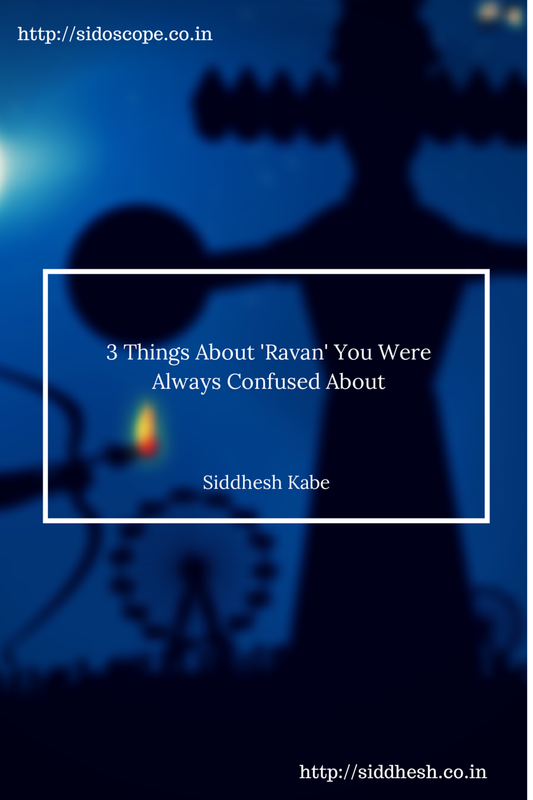 Why do I choose the name 'The Ravan' as pen name for my articles? Ravan with whatever his flaws was a remarkable person with a remarkable personality. He choose to follow his path irrespective of whether it was acceptable with society, people or even God. Ravan was called 'Maha Brahman' by Ram himself and he was the knowledgeable in the Vedas and scriptures. The name 'Ravan' means the one with the terrible roar, which I insist on having through this blog and my stories. And hence the pen name 'The Ravan'.